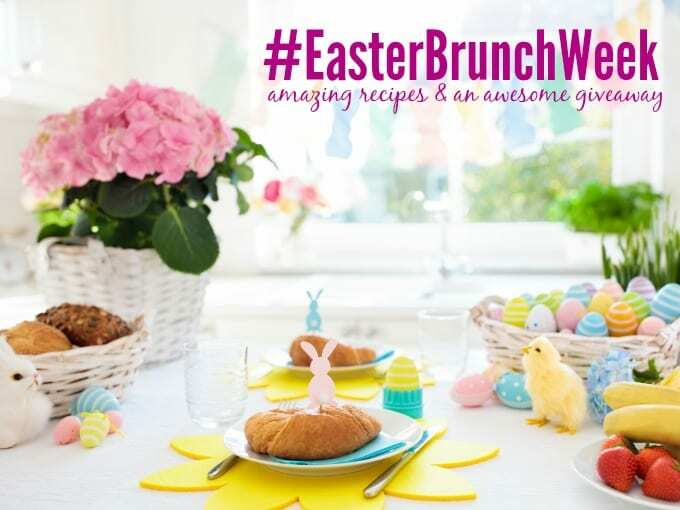 Easy make ahead breakfast recipes just make life that much easier, don’t you agree? 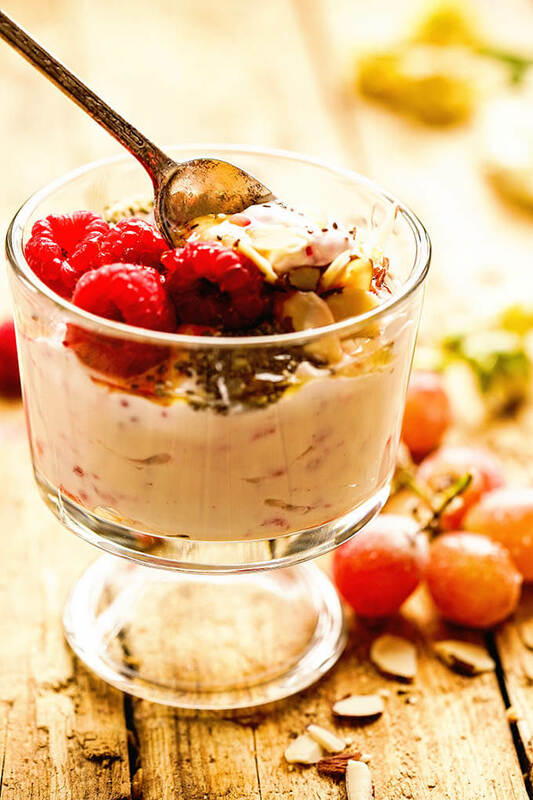 You’re going to love how easy and delicious this raspberry yogurt parfait is to make. It’s perfect for a fancy brunch or Tuesday morning breakfast! 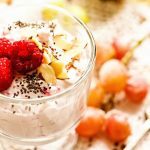 Yogurt Parfait is an easy make ahead breakfast! Are you a meal planner? I haven’t always been a great meal planner, but I’m getting better at it! Here’s why it’s important (for me)… anytime I walk in the store – whether it’s for one item or five, I will spend no less than $50 bucks. And if I have a list then the price really goes up! Have you ever had groceries delivered? That’s a great way to keep me out of the grocery store. Some people say that it’s expensive. I say keeping me out of the grocery store saves $’s. Please tell me I’m not alone! Top your parfait with your favorite fruit and nuts! 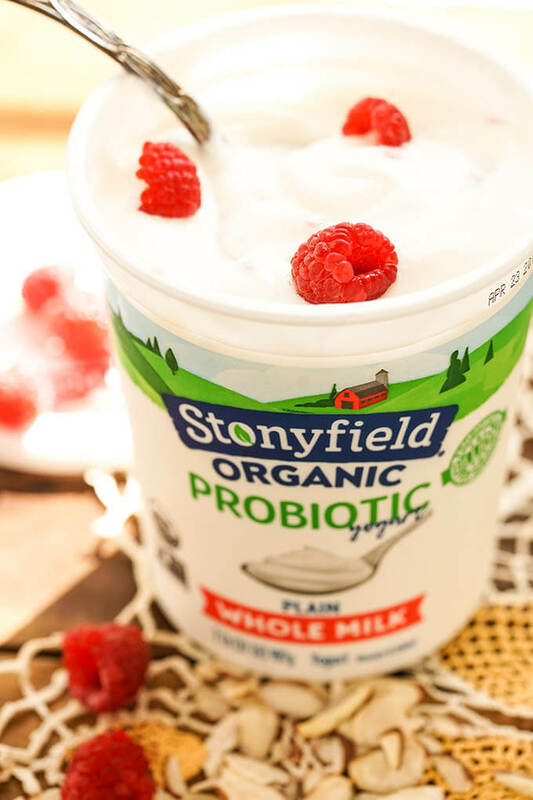 Stonyfield Organic Quarts provide a variety of functions from being a cost-effective solution for heavy yogurt consumers to being a healthy ingredient alternative. It’s perfect to have on hand for quick and easy meals and snacks. Smoothies or dips, Stonyfield is made with wholesome organic ingredients, but more importantly? It’s delicious! How long will make ahead breakfast parfait last? 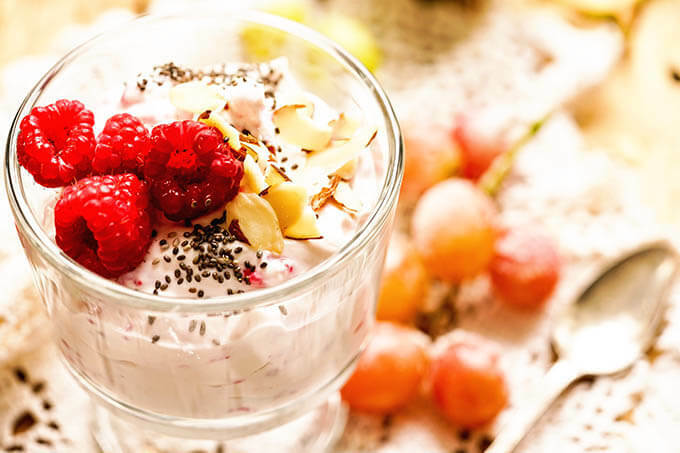 Top your yogurt with your favorite fruit, chia seeds and sliced almonds. Wash and clean berries well. Mash about half of them, saving the other half for garnish. Add the vanilla yogurt and mix well. Stirring in the mashed berries. Add the yogurt to serving bowls or parfait dishes. Top with berries, walnuts, chia seeds and a drizzle of honey. 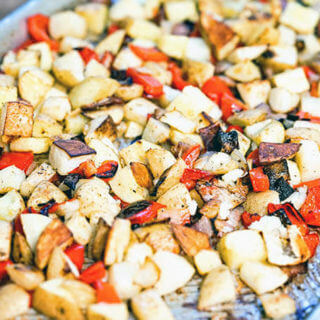 Make ahead breakfast foods that reheat and store well! 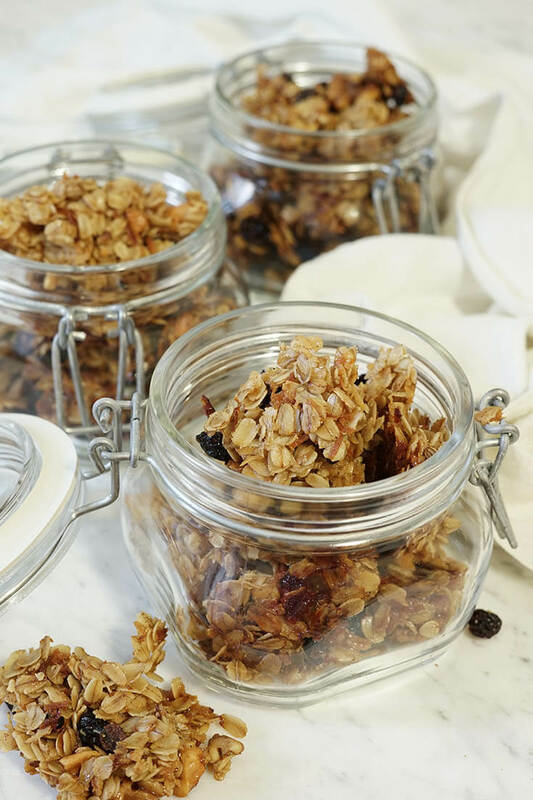 Granola – store in ziplock bags, squeezing the air out of the bags. Store in the refrigerator. Surprisingly granola will keep better in the freezer than the pantry! How to reheat quick breads: Slice them before freezing and wrap individually, then put them in a ziplock bag, squeezing out excess air. I recommend dropping sliced bread into the toaster for reheating. Reheating egg muffins: Best to defrost at room temperature and then microwave to reheat. Don’t over-do it or they will get tough and chewy. Reheating pancakes and waffles: Waffles also reheat best in the toaster! Pancakes I suggest microwaving to reheat, again being careful not to over-do it. 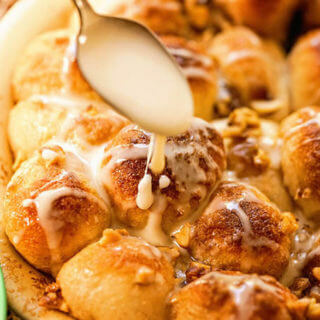 More great Make Ahead Breakfast Recipes perfect for Breakfast or Brunch! This Homemade Granola Recipe is easy to make and so delicious! Cranberry Orange Homemade Granola – super simple and delicious for breakfast or an easy snack and it’s perfect for breakfast or brunch! Crunchy nuts, tart cranberries and sweet honey combine with toasted oats to make yummy granola! 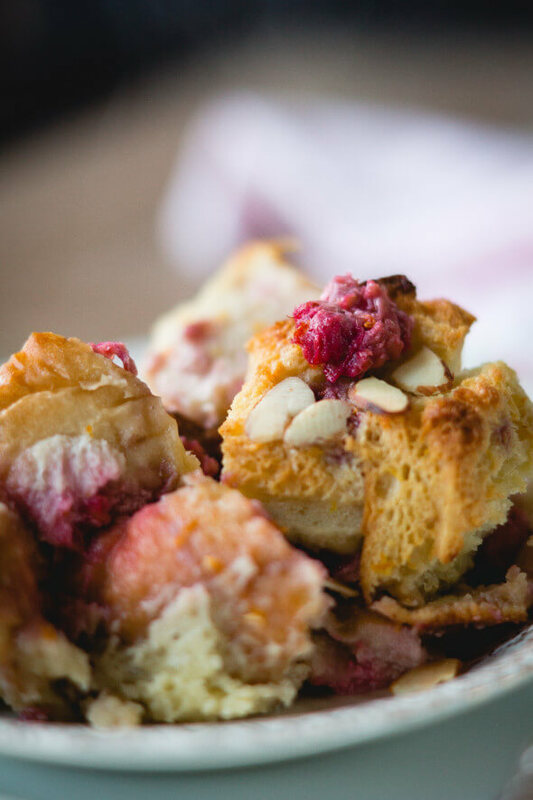 Raspberry Orange Breakfast Strata – The raspberries and hint of orange are just the right amount of pop for a Saturday morning! 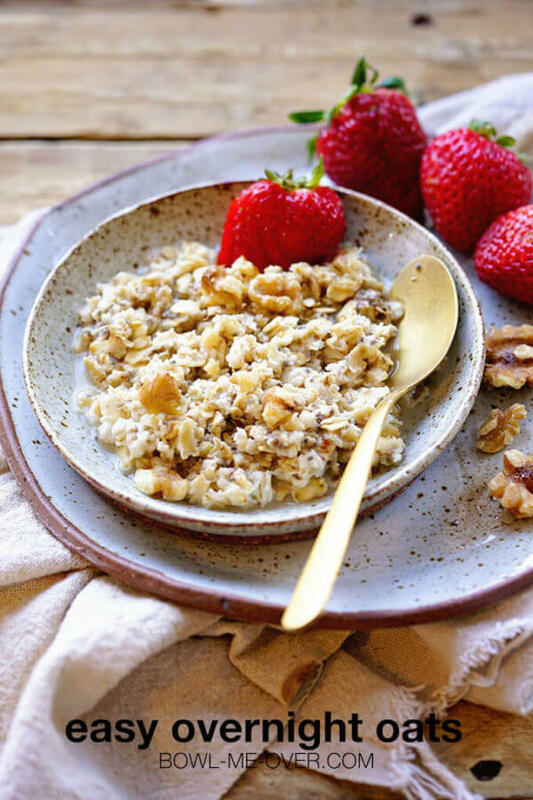 Simple, easy and delicious overnight Oats is a great way to start the day! Easy Overnight Oats – Want an easy breakfast the whole family will enjoy? Easy overnight oats are the answer! 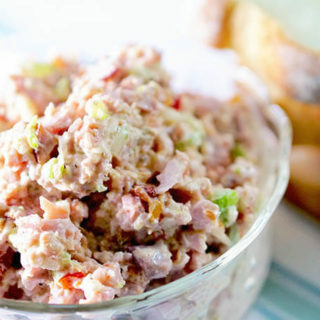 Super simple, incredibly delicious and so good for you, too! 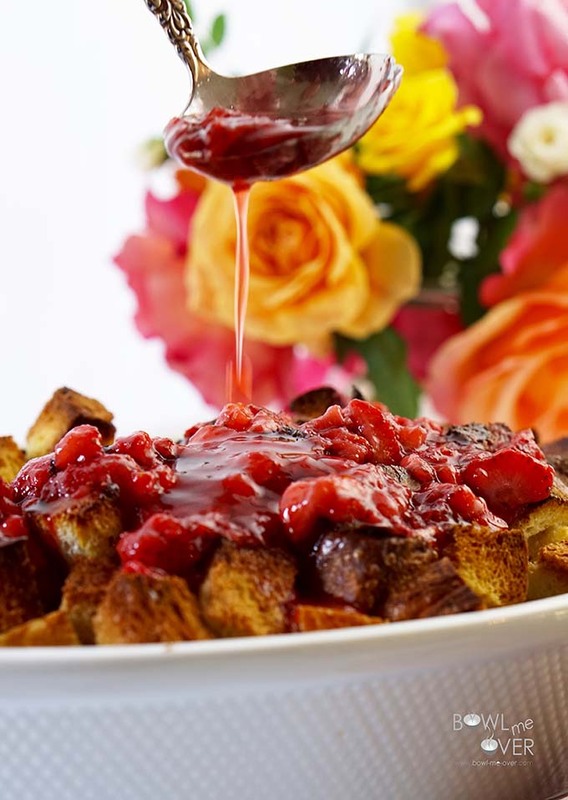 Baked French Toast is packed with strawberries and topped with strawberry syrup! 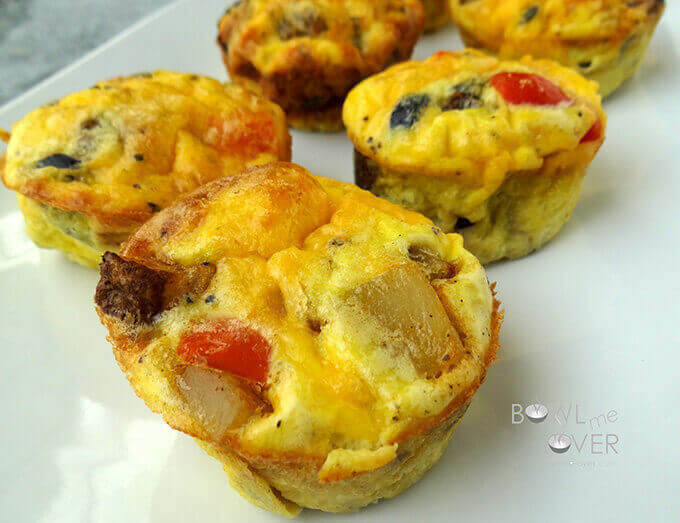 Cheesy Egg Muffins – Cheesy Egg Muffins – so simple, the recipe makes a dozen so there is plenty of leftovers. It’s a perfect grab-n-go meal! Grandma Few’s moist banana nut bread recipe! 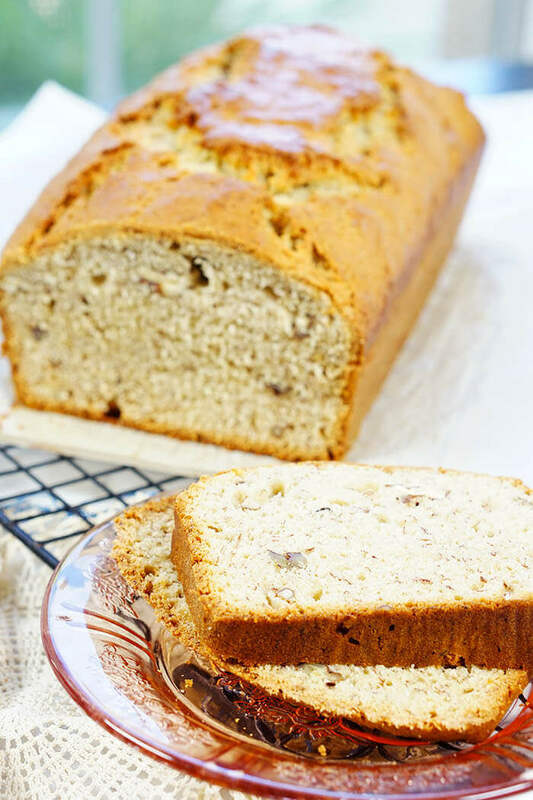 Grandma Few’s Super Moist Banana Bread Recipe – This loaf is packed full of nuts and sweet ripe bananas. It has a slightly crunchy crust (my favorite part!) and the inside is dense and tender. Completely delicious and super easy, this is a classic recipe banana bread recipe that you will absolutely love. 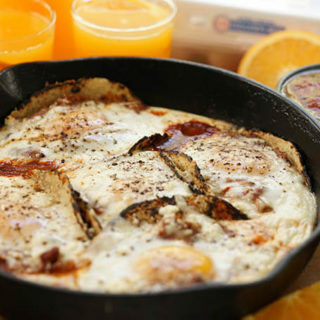 Easy make ahead breakfast recipes are perfect for breakfast or brunch! 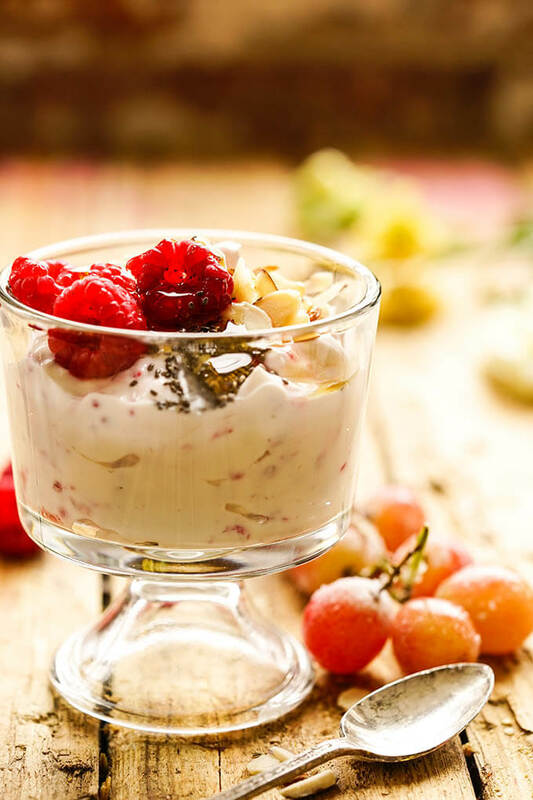 You're going to love how easy and delicious this raspberry yogurt parfait is to make. Make ahead and refrigerate overnight. This will keep in the refrigerator for up to three days. Breakfast is so important, but as many others I’m so busy and sleepy in the mornings! 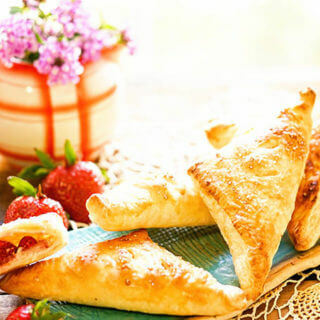 These tips and the recipe are amazing and so great to know! Thanks!!!! I’m glad you found some new recipes to try Liza, that’s fantastic!! What a fantastic collection of recipes!! Oh my goodness, there is some yummy stuff here! Definitely something for everyone! I love a good make ahead breakfast! This looks like a nice healthy start to the day too!